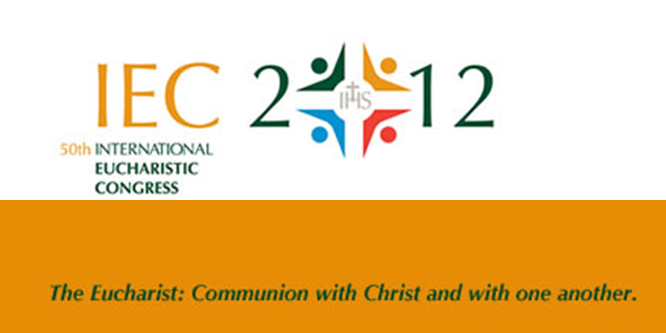 The 50th International Eucharistic Congress (IEC2012) will be held in Dublin from 10 to 17 June 2012 on the theme “The Eucharist: Communion with Christ and with one another”. The Congress is an international gathering of people, every four years somewhere in the world, which aims to promote an awareness of the central place of the Eucharist in the life and mission of the Catholic Church; help improve our understanding and celebration of the liturgy and draw attention to the social dimension of the Eucharist.  These aims are achieved through a programme of pastoral preparation in the years leading up to the Congress and a programme of liturgical and cultural events, lectures and workshops during Congress week. Volunteers will play an integral role in the Congress and two to three thousand volunteers will be needed to assist with the running of the Congress from 10 – 17 June and also to help with preparations for the Congress. The Congress is are now recruiting volunteers for a wide range of roles such as administration, data entry, marketing, media, meet and greet, translation, pastoral services, transport and many other areas. We are looking for volunteers of all ages from 18 years upwards. Our youngest volunteer is 18 and our oldest is 84. In the past few days we have registered our 500th volunteer – Sr Felicity Kalu. For those interested in volunteering for the Congress, an application form can be downloaded from www.iec2012.ie. Volunteer now and make a difference! – From North America and Canada – flights direct to Ireland from Boston, Chicago, New York and Orlando in addition to connections from over 50 cities across the US and Canada. – From the UK – up to 38 daily services operating from ten airports across the UK. – From Europe – direct flights from 20 countries including Austria, Belgium, Bulgaria, Croatia, Czech Republic, Finland, France, Germany, Greece, Hungary, Italy, Lithuania, Morocco, Netherlands, Poland, Portugal, Romania, Spain, Switzerland and Turkey. Aer Lingus is offering an early bird discount to pilgrims who book flights before 30 November 2011 of 10% discount off airfare on short haul routes or $50 off their return long haul routes. Fr Kevin Doran the Secretary General of the Congress has spent the last fortnight overseas visiting dioceses in Ontario and Quebec, to support the work of the local diocesan delegates who have been preparing for the participation of up to a thousand Canadians at the Eucharistic Congress in 2012. As part of the promotion of IEC2012, Fr Doran recorded five programmes with Salt and Light Television and broadcast live on Radio Galilée (Quebec). Presentations were made to diocesan groups in Toronto, London, Quebec and Montreal as well as to Canadians and Irish people who have lived in Canada for most of their lives. Fr Doran held meetings with Archbishop Thomas Collins of Toronto and Archbishop Gerald Lacroix of Quebec City, both of whom are leading pilgrim groups to the Congress. He also had the very useful opportunity to compare notes with many of those who were directly involved in the preparation of the last Congress in Quebec City in 2008. The Eucharistic Congress Bell which has been on pilgrimage around Ireland since St Patrick’s Day this year, has its origins in the Dominican Convent in Portstewart in Co Derry. It was used most recently to ring in the Jubilee Year 2000 in Glendalough, Co Wicklow. Starting on St Patrick’s Day, the bell will be brought on foot from diocese to diocese by teams of volunteers. The bell, a reminder of the tradition of St Patrick’s Bell, will represent the call to faith, to prayer, to conversion and the vocation to service and to mission. In our preparation of the Eucharistic Congress, people have been asked to think of the Congress as a journey rather than just an event. Some of those who came to the last Congress in Dublin in 1932 have spoken of their mammoth journeys on foot or on bicycles. For this Congress IEC2012 are asking people to engage in an interior journey of renewal. That is where the symbolism of the bell comes in. The bell will go on its journey around the country, but it will invite all those who hear it to begin an interior journey of renewal. The Pastoral Preparation Programme which will take place between now and June 2012, is presented as an itinerary for the journey towards the great gathering for the Eucharistic Congress. This journey has been mapped out in four stages, each with its own theme. Each of these reflects on an aspect of the celebration of the Eucharist and the lifestyle it inspires, in the light of the overall Congress theme “The Eucharist: Communion with Christ and with one another”. Stage three of the programme was made available recently on the theme Christ gathers us to be nourished by the Bread of Life which reflects on the Liturgy of the Eucharist, sometimes referred to in the Scriptures as the ‘Breaking of Bread’. Bookings for the Congress are now being taken through the website. Single day registrations are now available, together with the three and seven day registrations. We are making available concession and family tickets as well. Check out our Registration Section http://www.iec2012.ie/registration and avail of the early Registration fees until 30 November. IEC2012 has made available text and multimedia resources on our website www.iec2012.ie in seven languages. We have also added some additional language resources including braille, Chinese and English sign language. See www.iec2012.ie for more information.